The British Association of Nutrition Therapy (BANT). Certified Foresight Practitioner and registered with The Food and Mood Project. Yvonne Bishop-Weston BSc Dip ION mBANT qualified at London's Institute of Optimum Nutrition (ION) and won an award for her research on essential fatty acids. She is a registered practitioner with Foresight (recommended for pre-conceptual and pregnancy care), with The Food and Mood Project, and accredited by the British Association of Nutrition Therapists (BANT). Although Yvonne first graduated with a degree in psychology she was most interested in the role that our diets played in the health of the mind and body. This interest developed in her years working for Holland and Barrett health food stores and at London based Cranks, who were leaders in pioneering vitality and health for forty years. Here Yvonne developed the nutritional integrity of the products and provided input into the best-selling Cranks recipe books. Wanting to lay academic qualifications to her experience she then qualified as a Nutritional Therapist and joined Ian Marber and Michael da Costa at The Food Doctor. 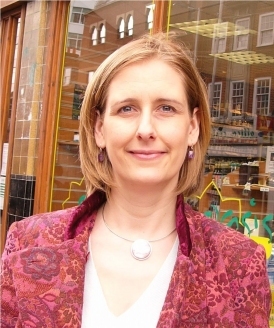 As a senior Nutrition Consultant at The Food Doctor, Yvonne spent 3 years practicing in their west London Holland Park and City clinics and managing the corporate clinical services and speaker series, as well as supporting the food product side of the business with her many years of food knowledge. Yvonne now has her own nutrition, food and complementary health consultancy business Foods For Life and has a regular clinic at Oasis Yoga and Health complimentary health clinic in Croydon High Street, Surrey in South London and at Harley Street. She is an accomplished writer and has written a new healthy eating cookbook for Hamlyn which is selling well on both sides of the Atlantic and even in Australia. Yvonne Bishop-Weston now has clients from all over the world including Switzerland, Germany, France, India and Saudi Arabia as well as in Croydon. She is a tutor at The Institute of Optimum Nutrition and regularly appears on TV and in the National Press.